I have been passionate about cars and racing from a very young age. I first became interested in racing at the age of 5 when I discovered a classmate raced go-karts. At that point, I was determined to get into the sport. I had to be very persistent for several years in order to persuade my parents to let me try racing. My father purchased an old race kart when I was nine years old. We showed up at our first race with the kart (on old tires), a utility trailer, a bicycle pump, and a Leatherman tool. My first race proved to be very successful as I finished third in the 17-kart field. By my fourth race ever, I was in victory lane. I finished my first season with 3 wins, 10 top 3’s out of 18 races, and second in points. Needless to say, I was hooked. My kart racing career lasted five years with over 30 wins and two championships. When I was 12, I moved into an Allison Legacy car racing two years in the New England series and three years in the Southern series. My crew chief/father and I learned a tremendous amount about racing, car set up and about ourselves during that time and I finished my Legacy career as the 2014 Allison Legacy Touring Series Champion with 10 wins in 16 races! During 2014, I also began racing Legend Cars. I had immediate success in the Semi-Pro division winning 12 of 35 starts, with 28 top 5 finishes. The highlight of my 2014 season was winning 2 feature races at Charlotte Motor Speedway’s Summer Shootout. 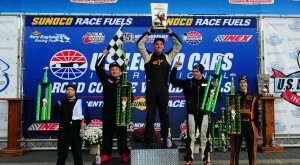 With the first win being televised nationally on MAVTV. 2015 was my most successful season with 42 wins in 92 races including WORLD, NATIONAL, STATE, TOURING, and TRACK championships! I was also named to the Speed51 Short Track Draft and signed with New England’s first driver development program, Hallstrom Motorsports (VT), to race a late model in the American Canadian Tour (ACT) for the 2016 season. During the 2016 season, I transitioned to full size late model cars, competing full time in the American Canadian Tour with Hallstrom Motorsports. I ended the season with three top-10 finishes and the “Rookie of the Year” title. I returned as owner/driver of my own team during 2017. We had mixed success with 3 top 10 finishes, one top 5 and one pole position. 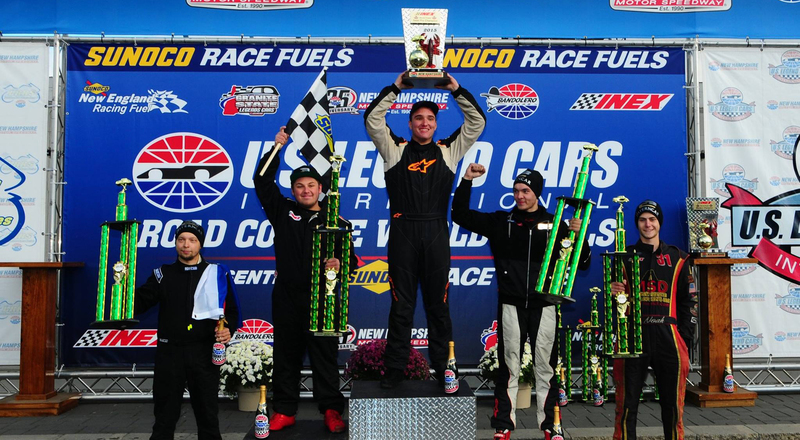 We completed the season eight in the Granite State Pro Stock Series points. We returned to the Granite State Pro Stock Series in 2018 and have had tremendous success with 3 podium finishes including a win at Hudson Speedway (NH) and segment win at Waterford Speedbowl (CT).